Discover why Botox® is the most popular cosmetic procedure worldwide. How Long Will It Take For Me to See Results After BOTOX® Injections? How Long Will The Results I Obtain from BOTOX® Last? At What Age Should I Start Using BOTOX®? Will I Be Able To Make Facial Expressions After Getting BOTOX® Injections? Who Should I Trust to Administer BOTOX®? What Are Some of the Issues That Muscle Relaxants Can Treat? Can BOTOX® Help With Excessive Sweating? BOTOX® Cosmetic is the most popular aesthetic procedure in the world by far, for the simple reason that it works! The American Society for Aesthetic Plastic Surgery (ASAPS) estimates that approximately 2.5 million BOTOX® injections are performed each year which is reflective of its effectiveness and success at delivering noticeable results. Getting BOTOX® is a simple and straightforward procedure involving a small number of injections. Our injectors use a subtle approach, so your appearance will not be drastically altered, nor will you have a “frozen” look. You will look like yourself, just more relaxed and rejuvenated. BOTOX®, a neuromodulator (muscle relaxant) is a prescription medicine comprised of a purified protein produced by the Clostridium botulinum bacterium which blocks the transmission of nerve impulses to the injected muscle, thereby limiting muscle activity. During treatment, very small doses of BOTOX® Cosmetic are administered to targeted facial muscles via a fine needle. The treatment only takes approximately 10 minutes, and no recovery time is required. You can continue with your daily routine. You will see an improvement within a few days, and your results will last 3 to 4 months. What Can I Expect at my Procedure? Getting BOTOX® injections is very quick and straightforward. The procedure can be performed immediately following an initial consultation in which your face is assessed to determine whether you will benefit from BOTOX® injections, the amount of BOTOX® required, and the injection locations. Your medical history, allergies, etc. will be reviewed. After the consultation, the areas to be injected will be swabbed with antibacterial wipes. If you desire, an ice pack or anesthetic cream can be used on the area prior to the administration of the injections. In addition, Skinjectables has a special device that helps to reduce your discomfort. You will then be asked to frown, raise your eyebrows or squint. Following this, a few small injections will be administered via a very fine micro needle to the identified muscle locations, targeted to directly address your specific issues. The entire procedure will take less than 10 minutes, after which you will be able to resume your regular activites. What are the Benefits of BOTOX®? After receiving BOTOX® treatment, your results will become evident within approximately 3-5 days, and after 10 days you will notice the complete result. to repeat the process. To maintain your improved appearance, it is recommended that you receive BOTOX® injections every 3 months, however it is completely fine to wait for longer intervals, or discontinue the use of BOTOX® at any time. If you elect to discontinue getting BOTOX® injections at any time, the treated area will gradually revert back to the way it looked prior to your getting BOTOX®. BOTOX® is a quick procedure that delivers dramatic results. After receiving your treatment, you can get back to your busy day, as the needles we use are extremely fine, and typically don’t leave noticeable marks on your face. Some patients may experience a bit of redness or a tiny bruise at the injection site, which can easily be concealed with a light application of makeup. The average fee for BOTOX® is $10/unit for most areas. At your initial consultation, you will be provided with the actual cost of your BOTOX® treatment, based on an assessment of your face. Most of our patients feel that the pain of BOTOX® injections is very mild, and well worth the results that they are able to achieve. The pain is minimal, chiefly because the microneedles used for BOTOX® injections are very fine, and our highly experienced injectors are able to perform the procedure as painlessly as possible by administering highly controlled and delicate injections. For those who are scared of needles, we offer ice packs or an anesthetic cream that will minimize the sensation even further. In addition, we have a unique device that is able to effectively dull the sensation of the injections. BOTOX® Cosmetic Injections most popular amongst individuals between the ages of 30 and 60, however there is growth in the number of younger people seeking BOTOX®, as it is very effective at prevention. Unfortunately, some Hollywood celebrities have used such high doses of BOTOX® that they have been left with a frozen, unnatural look, which has become instant fodder for celebrity magazines and blogs. You can rest assured that after receiving BOTOX® treatment at Skinjectables Cosmetic Clinic you will have a very natural appearance. While you will definitely notice a marked improvement, the results will not be radical, and it will not be obvious that you’ve had a procedure. You will look like yourself, only younger, fresher, and more relaxed. You will still be able to make facial expressions. BOTOX® Injections are extremely safe and having been used since 2002, have established a strong safety track record. While some people initially express reservations about undergoing BOTOX® injections, rest assured that BOTOX® remains localized at the injection site and does not spread throughout the body. Spread of BOTOX® to adjacent muscles: Sometimes BOTOX® can affect muscles that are adjacent to the injection location, creating a look that was not as intended (e.g. droopy eyelid). This would be temporary, lasting approximately 3 months, and fading as the effects of BOTOX® wear off. Amount of BOTOX® Injected: Sometimes too much or too little BOTOX® is injected. Such situations can be avoided by ensuring that your injections are performed by highly skilled health care professionals. Immunity to BOTOX®: In rare cases, a patient may unknowingly be immune to BOTOX®, rendering it ineffective. While these represent the most common types of complications associated with BOTOX®, they are not experienced by the vast majority of patients. At most, patients will experience benign side effects such as light bruising, which can be easily covered up with foundation or concealer. There are many providers of Botox® in Toronto who offer injections at various prices. The most important thing is to ensure that the practitioner you select is a qualified and licensed health care professional who also has a lot of experience performing injections. The only way that somebody can become proficient at injecting is through repeated practice. As such, a clinician who dedicates a large portion or even the entirety of their practice to injectables is usually going to be able to deliver superior results due to their high level of expertise. Furthermore, since there are constantly new developments in the aesthetic field, it is critical to find an injector who attends training sessions on a continual basis and who keeps abreast of the latest innovations. Finally, since injectables require a certain degree of aesthetic judgment, it is important to select a practitioner who shares similar goals to you with regard to your desired outcome. You should always feel comfortable with your injector, and be able to communicate your needs and concerns. Many people suffer from an incredible disruption to their lives because of hyperhidrosis— or excessive, severe sweating— that is resistant to any treatment by anti-perspirants and other remedies. You may have heard about Botox® treatment for hyperhidrosis, but unfortunately not a lot of information exists for this highly effective, FDA approved treatment. Fortunately, at Skinjectables Cosmetic Clinic, our highly-qualified Nurse Injectors are experienced in treating this issue. Our emotions are usually evident on our faces and as we age it becomes harder for our skin to return to its original position, which is what causes the lines, wrinkles, and creases to form on areas of the face used repeatedly as we make various facial expressions. The Anti-Aging Specialists at the Skinjectables Cosmetic Clinic in Toronto can reduce the appearance of these fine lines, wrinkles and creases through administering injections of onabotulinum toxin A (aka BOTOX®). Onabotulinum toxin A injections should only be performed under the supervision of, or by a health care professional who is trained and qualified to provide these treatments: To ensure our patients receive the best care possible, each health care professional that performs onabotulinum toxin A injections at the Skinjectables Cosmetic Clinic have completed Allergan’s official BOTOX® Training Program. BOTOX® Treatments: Are They Safe? Yes, onabotulinum toxin A is approved by Health Canada and the Federal Drug Administration (FDA) for use as treatment for a variety of issues related to the signs of aging: These issues include crow’s feet, glabellar lines and moderate to severe lines in the forehead. Crow’s feet are the fine, slightly-curved, horizontal wrinkles extending from the outer corner of the eye. Glabellar lines are the vertical creases that form between the eyebrows. Each year, treatments with onabotulinum toxin A help millions of people look younger. Furthermore, according to statistics from the American Society for Aesthetic Plastic Surgery (ASAPS), this neurotoxin is consistently listed as one of the most popular cosmetic procedures. In 2016, 4.5 million onabotulinum toxin A injection procedures were performed in North America, which is an increase of nearly 8 percent from 2015. One common problem that BOTOX® injections can address is glabellar lines. These lines develop due to routine, repetitive facial expressions that involve the skin between the brows. Facial expressions responsible for their development include using the underlying muscles to pull the eyebrows toward one another, which causes the skin to wrinkle. We usually perform this action when we squint, frown or become angry. Lift the lips by smoothing vertical lip lines (aka lipstick or smoker’s lines). Be used to perform a non-surgical facelift. Raise and shape droopy-looking eyebrows. Address a pebbled chin (aka orange peel chin). Gently raise the corners of the mouth eliminating the down-turned expression that makes an individual look as if he or she is constantly sad or frowning. Address the nasal bunny lines that form on either side of the nose. Narrow the appearance of the jaw. Onabotulinum toxin A injections are also used to address axillary hyperhidrosis (excessive underarm sweating). In addition, these injections can be used to reduce the appearance of a square jaw. While some people are born with a jaw that appears somewhat square, a square jaw can occur when the masseter muscles (jaw muscles) become enlarged due to a condition called bruxism (teeth grinding) as well as frequent gum chewing. We can address both of these issues at our clinic in Toronto. As each patient is unique, so is each onabotulinum toxin A treatment plan at the Skinjectables Cosmetic Clinic: Each treatment is customized for a specific patient. When creating an onabotulinum toxin A treatment plan, a variety of factors must be taken into consideration. Length and dimension of the patient’s forehead. The structure of the face. The experienced, professionally-trained Anti-Aging Experts at Skinjectables have treated thousands of patients. They use a variety of specific injection techniques that are designed to provide the natural-looking results a patient desires. Who Should Consider Facial-Rejuvenation Treatments with BOTOX®? Onabotulinum toxin A was designed for consenting adults who do not have a neuromuscular disease (e.g., multiple sclerosis). Individuals who will benefit the most from onabotulinum toxin A injections are those who are mentally and physically healthy. In addition, the individual must be able to handle the side effects that may arise following treatment. An ideal candidate is one who understands that there are treatment limitations and he or she is able to enter into their onabotulinum toxin A procedure without having unrealistic expectations. For instance, onabotulinum toxin A may not be very effective in areas of the face where a permanent crease has formed. One such area is the nasolabial fold. 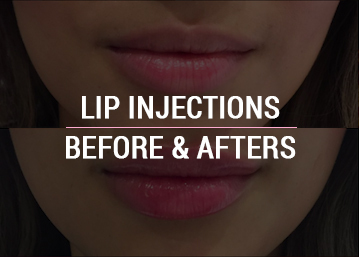 Moreover, if a patient would like more voluptuous lips, onabotulinum toxin A is not the correct product because it cannot add volume: Dermal fillers should be considered for lip augmentations. Who Should Not Receive Facial-Rejuvenation Treatments with Onabotulinum Toxin A? Women who are breastfeeding or pregnant should not have BOTOX® injections. Therefore, it is essential that women ensure they are not pregnant prior to receiving their injections with onabotulinum toxin A. Since certain medications can interfere with the results achieved from BOTOX® injections, patients must inform their Anti-Aging Expert about all medications they are taking. If a prescription medication cannot be halted temporarily, another facial-rejuvenation procedure available at the Skinjectables Cosmetic Clinic in Toronto, Canada, may be a better option. Individuals who are allergic to onabotulinum toxin A, or any of the ingredients included in the product (e.g., lidocaine), are not good candidates for treatment with onabotulinum toxin A. Additionally, if an individual has had an allergic reaction to DYSPORT®, chances are he or she is also allergic to BOTOX®. Certain facial attributes can affect whether an individual is an ideal candidate for onabotulinum toxin A treatments in Toronto. Ptosis (a drooping upper eyelid). Ectropion (the lower eyelid droops away from the eye). Entropion (the lower eyelid turns inward, toward the eye). Weakened muscles in the area being treated. Skin problems at the proposed injection sites. In addition, certain medical conditions (e.g., Lambert-Eaton syndrome) affect whether or not an individual should receive injections with onabotulinum toxin A; however, at Skinjectables in Toronto, Canada, we have a variety of other facial-rejuvenation treatments that these individuals can consider. Our Anti-Aging Specialists need to know what you would like to accomplish with facial- rejuvenation treatments in Toronto, so please be prepared to discuss your desires. In addition, you should expect our Anti-Aging Specialist to examine the areas that you would like addressed. This examination is important because it helps our Expert Injector determine if BOTOX® injections will accomplish what you desire. Our Specialist will also want to know about your medical history and the medications, herbal supplements and vitamins that you are currently taking. Prior to any facial-rejuvenation procedure, we like to provide our patients with details about what they should expect. 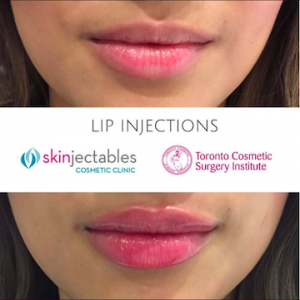 In addition, we want our patients to feel comfortable about their upcoming treatment; therefore, during your initial consultation at the Skinjectables Cosmetic Clinic in Toronto, please feel free to ask questions. In fact, many of our patients find it helpful to make a list of questions to bring with them on the day of their consultation. In our opinion, when a patient knows what to expect, dismissing fears becomes easier. For approximately 10 days prior to their onabotulinum toxin A treatment, patients need to avoid taking medications that thin the blood. These medications include Motrin and aspirin. Please keep in mind that patients who take prescription blood thinners should speak with their prescribing physician prior to discontinuing their medication. How Long Does an Onabotulinum Toxin A Treatment Take? Treatment times vary depending on how much correction the patient desires as well as how many areas the patient would like our Anti-Aging Expert Injector to target. Typically, one treatment takes from 15 to 25 minutes. Many patients do feel nervous the first time they have injections with onabotulinum toxin A. Our Injection Experts know this, which is why they take the time to explain the procedure to each patient. The patient’s safety and comfort are always the most important factors at Skinjectables, which is why our Anti-Aging Specialists take great care when performing onabotulinum toxin A and dermal filler injections. Furthermore, at the Skinjectables Cosmetic Clinic in Toronto, all onabotulinum toxin A injections are performed by one of our Anti-Aging Specialists who has completed Allergan’s official BOTOX® Training Program. 1. After checking in, the patient will be taken to the treatment area. 2. The patient will be asked to lie down in a recliner. while these muscles are contracted, targeted areas will be marked. 4. A topical numbing cream is applied. Since onabotulinum toxin A injections feel similar to an insect bite, most patients handle the procedure extremely well with just a topical anesthetic. 5. Using a very fine needle, the Expert Injector will administer the onabotulinum toxin A to the previously marked targeted areas. Great care is taken so as to reduce the likelihood of inflammation or bruising following the procedure. 6. A follow-up appointment to review the results should be made prior to leaving the clinic. After Injection, Where Does the BOTOX® Go? Once the onabotulinum toxin A is injected, it stays within the muscle in which it was injected. The risk of the product migrating to other areas is minimal; however, if the patient excessively touches or rubs the areas treated following treatment, the risk of migration increases. Therefore, it is best for patients to avoid touching the treatment areas for a few days following their BOTOX® injections in Toronto. Does the Onabotulinum Toxin A Remain in the System Forever? No, over time, the body metabolizes and breaks down the onabotulinum toxin A into amino acids (a natural by-product), which may be used by the body or excreted via the kidneys. Since onabotulinum toxin A injections require literally no downtime, many people in Toronto, Canada, choose to have this treatment performed during their lunch break. Patients need to avoid performing any strenuous activity (including exercising) for the rest of the day. Patients must not lie down for at least two hours after their BOTOX® injections. Onabotulinum toxin A injections are designed to paralyze the muscles in the areas where it is injected; therefore, patients should not be alarmed if they are unable to or find it difficult to move the muscles in the areas treated. The full results achieved via onabotulinum toxin A injections are usually evident within 72 hours of the procedure; however, on rare occasions, it can take up to five days for the final results to be realized. At Skinjectables in Toronto, we usually ask our patients to assess their onabotulinum toxin A injection results approximately a week following their procedure. However, if the wrinkles and lines that were treated are deep, full results may be delayed. It can take as long as four weeks for the treated areas to completely relax. Just as with any treatment, side effects are possible. People who decide to have onabotulinum toxin A injections for facial rejuvenation should expect to experience a few side effects. Mild to moderate swelling or slight pain from the procedure itself may occur. However, these side effects are short-lived and the majority of our patients’ state that the minor inconvenience of these side effects would not deter them from having BOTOX® injections again. Some patients experience a short-term headache following their BOTOX® treatment. It is imperative that patients avoid taking aspirin containing products as this can increase bruising and, when applicable, bleeding. Tylenol (non-aspirin) is a better option. How Long Do the Results Attained with Onabotulinum Toxin A Last? The benefits of BOTOX® are temporary, lasting for approximately four months; therefore, to maintain their youthful-looking appearance, most of our patients decide to continue having onabotulinum toxin A treatments every four months. What Happens If I Stop Getting BOTOX® Treatments? Onabotulinum toxin A injections relax the muscles that cause certain lines and wrinkles to appear. Patients who have BOTOX® injections for a number of years and then stop receiving treatment will still look better than they would have had they never sought treatment to begin with. However, without continued treatment, the signs of aging that onabotulinum toxin A addressed will reappear. When Should I have a Facial-Rejuvenation Treatment for an Upcoming Event? Patients who are preparing for an upcoming event should have their injections with onabotulinum toxin A and/or dermal fillers about three weeks before their actual event. This allows enough time for any inflammation and/or bruising to subside. How Much Does a Treatment with Onabotulinum Toxin A Cost? At the Skinjectables Cosmetic Clinic in Toronto, Canada, the average cost of onabotulinum toxin A is $10/unit (for most areas). The total cost is based on the facial assessment results, including which areas the patient would like our Anti-Aging Specialist to address. Therefore, at the initial consultation, patients will receive information related to the cost of their BOTOX® injection treatment. Following a correctly performed treatment with onabotulinum toxin A, friends and family should notice that you look more relaxed, refreshed and attractive. However, they should not be able to look at you and tell that you have had BOTOX® injections. While the risks listed below are rare, we believe they should still be addressed with each of our patients. Having difficulty swallowing (especially if the BOTOX® injections targeted the platysma muscle). To avoid the signs of “over-botoxing” it is essential that you choose to have your onabotulinum toxin A treatments performed at a reputable facility that offers Experienced Expert Injectors. Some swelling and/or light bruising should be expected following a treatment with onabotulinum toxin A; however, when BOTOX® is administered improperly, severe bruising, excessive inflammation and redness can result. Onabotulinum toxin A blocks the neuromuscular transmissions, causing the targeted muscles to relax. However, if BOTOX® treatments are administered by an inexperienced injector, he or she may inject too much product creating stiff or unnatural-looking facial expressions. If onabotulinum toxin A is injected too close to the eyelids or the eyebrows, a drooping effect can occur. An experienced injector has learned the proper technique, knows the amount of onabotulinum toxin A that should be used as well as the areas in which it should be injected. Having BOTOX® injections and treatments with dermal fillers are great ways to non-surgically diminish the signs of aging. At the Skinjectables Cosmetic Clinic in Toronto, Canada, our Anti-Aging Specialists use dermal fillers and neurotoxins to essentially ‘turn back the hands of time.’ With years of experience, our Expert Injectors use their skills to provide patients with a refreshed, more youthful-looking appearance. If you are interested in learning more about the various facial-rejuvenation procedures available at the Skinjectables Cosmetic Clinic in Toronto, contact us today at 416-546-2000 and book your free initial consultation. Our experienced Anti-Aging Specialists can use a variety of non-surgical procedures to help you look more refreshed. Furthermore, if you have been diagnosed with axillary hyperhidrosis or would like to reduce the size of your masseter muscles, our Experts can help. © Skinjectables. All Rights Reserved. Powered by the Plastic Surgery SEO specialists @LocalOptimism.